neck and back. I've had a great experience here and always felt cared for by Dr. Kevin, Dr. Ali and Dallas. 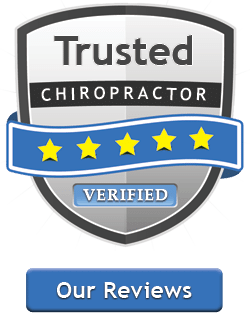 I had also been having issues with headaches for a few months and was concerned something was wrong with my health and Dr. Kevin showed me through my x-rays that my neck alignment was causing the problem. I noticed a huge improvement after only a few weeks and now after a few months my headaches are gone. The staff is great, lots of helpful equipment, clean office, and handles busy times efficiently. Would definitely recommend to anyone looking for a chiropractor! Ever helpful and dedicated to the practice. Dr. Kevin and Dr. Ali are great and give you time and work towards your overall well being. well-rounded focus on wellness offering extra exercises and nutrition classes in addition to thorough adjustments. I think my back got scoliosis 'cause I swerve the lane (skrrt!) Right into Abundant You Chiropractic. friendly and knowledgeable in what they're doing. guarantee of it being successful. He learned of Abundant You through my mother that is getting treatment herself. Dr. Kevin and Dr. Ali were the only ones that gave him any hope at a pain-free life without surgery. My uncle traveled 3 days to Ohio to start his treatment, and it has been life-changing. For the first time in years, he wakes up without pain. He is standing taller, the bump on his back is decreasing. He is happier. We would definitely recommend Abundant You to anyone seeking help. Even if you are being told that surgery is your only hope, get a second opinion. We are very happy to say that it works! back into the gym and workout pain free. I've tried the other places that give you shots to feel better but that's only ends up being temporary. Dr. Kevin was very thorough on my first visit and gave me hope about getting better. Dr. Kevin explained that they fix the cause of the problem and not just mask the pain. Dr. Kevin, Dr. Ali, and Dallas made me feel very welcome and valued. It's not just a job to them, they actually care about their patients and go above and beyond to help them live life to the fullest. Even though it was out of our insurance network we decided to go with Abundant You because of how amazing they are. I couldn't be more thankful for them and the work they have done. baby would flip back into head down position. Dr Ali did Webster technique sometimes twice a day even opening her office during off hours. And my baby flipped head down the day before my csection! Thank you Dr Ali for all your help! Later on she also adjusted my fussy/colicky baby right after birth and at 3 weeks old and he became less fussy right after adjustment so we will be going back for more adjustments! One of the best I have attended at the YMCA. marathone that my running days were over. Running is important to me and running has allowed me to remain active at almost 67 years old. I heard an announcement on 98.9 the Answer and I answered the add. Dr. Kevin and his staff began helping me immediately with an evaluation, education, and chiropractic care. I have been attending his clinic for about eight months and I can say that he and his staff have allowed me to continue my running. I am in hopes of completing my 49th and 50th marathon in the next year. With their help, I was able to complete my 48th marathon in Athens, Ohio on the 15th of April. I finished first in my age group and only 2 minutes short of qualifying for the Boston Marathon. I have run Boston 5 times. 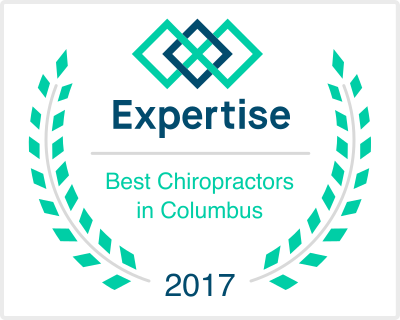 I have found it difficult travelling to Hilliard from Pickerington every week so I have decided to work with a local chiropractor. The drive and the time involved in commuting have become difficult for me. To all those who are thinking about Dr. Kevin's practice, as you can see in the 5 star rating, I highly recommend it. They are a total fitness group. May God bless Dr. Kevin and the staff. Thank you so much. See my photo from my 48th marathon. Kevin is one of the best I have been to. Variety of Exercises, xrays and diet information they provide along with ajdustments really helps!!! noticed tremendous progress. The pain prevented me from being able to focus on work and limited my ability to run longer distances. At this point, I am nearly pain free. It’s no longer a distraction at work and I was able to run over a mile for the first time in a long time this past week. This isn’t just a chiropractic office, it’s more of a holistic approach with free class offerings on nutrition, fitness, and much more. Highly recommend! was skeptical but I finally gave in and made an appointment. Definitely the right decision! My pain continues to lessen and Dr. Kevin continues to work on my back. He also diagnosed me with scoliosis, which at the age of 35 I had no idea I had. I highly recommend Abundant You!! and would melt down every time we walked into any kind of "clinic." Dr. Ali took time out of her schedule to play with him for a bit and getting to know her made ALL the difference for him! Not to mention, her chiropractic adjustments help to relieve bladder pressure in our son, and regulate his kidneys and bladder! We're so happy to have Dr. Ali in our lives! good hands. I’ve seen a few chiropractors in my life, but this is the first time in over 20 years that I can say I’m sitting here (typing this) PAIN FREE!! !👍 😃🤗👍 Thank you, Dr. Kevin and Dr. Ali! overall health. He has classes on nutrition and challenges us to be healthy. I have taken the Nutrition 101 and 102 classes and I'm currently in a 10 day detox challenge. treatment plan has done so much for my entire family & we’ve seen real results that I was a skeptic about. 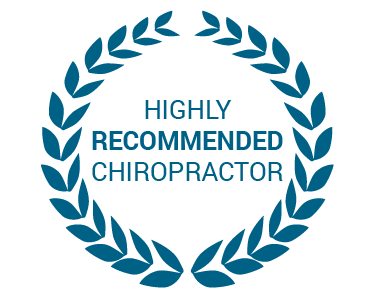 Even if you’ve seen other chiropractors in the area give this office a visit. It will change your views on chiropractic care! just adjustments but also offers classes on nutrition, fitness challenges, and a variety of exercises. Dr. Kevin got me in and out in good time but didn't sacrifice my care in the process! Location was great with parking and a massage place right beside it! we live in today, he has helped me be more aware of my posture care and strengthening my core and spine. Look forward to the next step in my Spine care! I appreciate his positive nature and nurture throughout this process.